Search engine optimisation (SEO) is all about helping people find your website for search terms that are relevant to your business. Those visitors will hopefully then click on the link in the search engine rankings, follow through to your landing page and be converted into a customer. A satisfied customer will then (hopefully) share their experience with their friends and family and return in future for further purchases. So, in essence, SEO is about making you money. But there's much more to it than that. It's about optimising your online presence to make you more money. Ethical SEO and digital marketing is concerned with the best practices and white hat techniques to manipulate the search engines into returning the right results. That is - your business in the best positions to achieve a return on investment. Note that we didn't say the 'top' position, but the 'best' position, because there's much more to it than simply ranking number one in Google. For example, search engine results which include videos, well-written titles and descriptions, authorship images or microdata are far more appealing to the end user than a normal listing that's been optimised just for the search engines. Local listings (i.e. 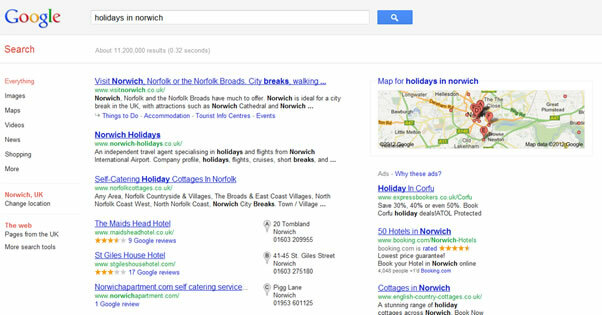 results that include Google maps information) are also far more appealing to searchers, especially if a local business is more relevant to their search. (Local listings, reviews and a map make these results more interesting and draw the eye away from the top position). Search engine rankings are affected by many different things. Many people will tell you that it is 'all about the links' but Google have made it clear that there are over 200 factors that are taken into account in their algorithms. 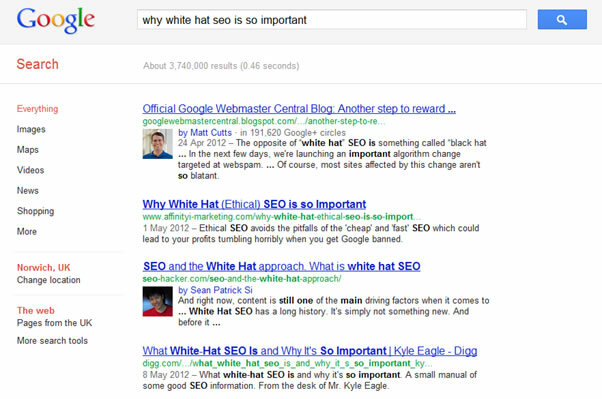 No one knows what they all are, but we do know that Google wants to return the best results for the user. Functionality - ideally websites should function well in every browser, on every device. That means that when a user clicks on the links in the search results they find your site and it looks right, works well and doesn't break when they navigate around it. W3C is a measure of the way website code should be in order to work correctly on the majority of modern browsers. It is a strict code and although some would argue that not being W3C compliant isn't necessarily a bar to the top positions (because some sites are there without it) it is an important factor, especially for small businesses trying to compete with large brands. W3C is just one small part of technical aspects of the site build which help with SEO. Other considerations such as Flash websites not working on iPhones and iPads need to be considered. Speed - load time is a major factor in search engine optimisation for obvious reasons. People don't want to hang around. If you click a link and the page takes an age to load, you're more likely to leave that page and go elsewhere. Google knows this and have actively encouraged businesses to optimise their site to load quickly with tools to test speed and a service to help improve it. Speed is even more relevant now with increased smartphone use and mobile browsing, where good mobile website design helps users get the results they want quickly, without having to wait for desktop sites to slowly load on their mobile device. Content - you'll often hear it said that 'content is king' when it comes to SEO. Good content is the key to good rankings (as it encourages natural sharing), but for users to share the content they first need to find it. Badly designed websites have swathes of code and very little content or at least a low text-to-code ratio. Google's bots only have a limited amount of time to spend on each page of a site, which means if their time is taken up crawling through code, they might miss the fantastic content hidden within. A technically optimised website will make that content more easily accessible by having less code and more content. Navigation - technical SEO ensures that websites navigation is user-friendly and easy to navigate. Doing it properly means it's easy for search engine bots to find their way around and index your site, but (more importantly) it's easier for users to find what they are looking for and make a purchase. 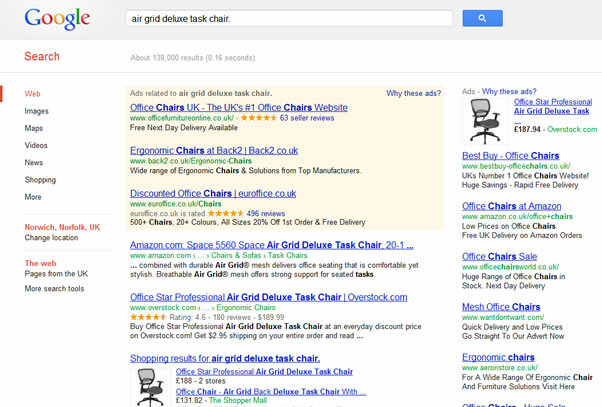 Avoiding duplication - Google does not approve of duplicate content, as shown by the recent Panda updates. Content taken from other sites or even duplicated in your own website on multiple pages not only looks spammy but isn't helpful to the user. Duplicate content is likely to result in lower rankings and poorer results. Plus, if your content is the same as your competitors, how can you hope to stand out? Technical SEO reduces the risk of internally duplicated content across your site by optimising pages, URLs and using canonical references where necessary. To some degree it's about streamlining your website and making it user-friendly and helping Google make the search engine rankings logical. Microdata - technical SEO can help make search results more appealing by adding micro-data and rich snippets to products which then add more information to the search results (such as stars for reviews or details about the product). These sorts of links are instantly more appealing and more likely to result in click-through and conversion. (Product reviews, images and other microdata make the other listings here more appealing than Amazon's link in the number 1 spot). There are other technical aspects of SEO as well, that you'll see in the search rankings - like optimising landing pages and meta titles/descriptions so links in the search results are more appealing and more likely to be clicked. As a digital marketing agency, we know the importance of technical SEO and how to put it to use to maximise your return on investment. Get in touch to discuss how we can help get the most out of your site.